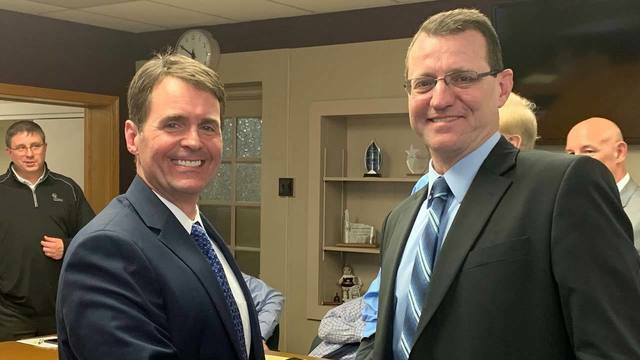 BOARDMAN, Ohio (WKBN) - Boardman Local School Board voted unanimously Thursday to hire Marco Marinucci as the new athletic director. He will replace Denise Gorski, who is retiring in June. Marinucci’s 3-year contract begins July 1, 2019. Marinucci currently serves as principal for grades 5-12 at Windham local Schools, and has more than 30 years experience in our valley as a math teacher, coach, athletic director, and an administrator. He was selected from a pool of more than 40 applicants. A Boardman High School graduate, Marinucci brings a wealth of experience in athletics to the position. He has previously coached softball at Boardman for a decade, as well as other area coaching positions in volleyball and basketball. Marinucci has also served as athletic director at Rayen and East in the Youngstown City Schools. “We knew it would be a challenge to replace a successful hands-on A.D. like Denise, but we believe that Marco has the skill set and school experiences to continue what Denise has built,” said Superintendent Tim Saxton.